In its glory days, the “World’s Largest Record Store” had multiple locations located in Cleveland, Cincinnati, Baltimore, Rochester, Syracuse and Buffalo. Now down to one on the corner of Main Street and Lafayette, it is truly the end of an era for Record Theatre. August 27 marks the day Record Theatre will close its doors after 41 years. Word of the final store’s closing came in June, a few months after the death of founder, Lenny Silver. When he opened the first Record Theatre store, Silver already had over 20 years in the music industry. Silver started his career as a stockboy for a record store in Rochester. At 17 he joined the Navy and served as a radio operator in the South Pacific during WWII. After the war, Mr. Silver returned to the store and rose from stock boy to sales to buyer. In 1954, Silver moved to Buffalo to work at a record distribution company and eventually start his own wholesale business in 1964. His business would become the fourth largest record distribution company in the country. Having a hand in every aspect of the record industry gave Silver an advantage. In the way it operated and the way it appealed to multiple generations, Record Theatre was a trend setting store. Silver’s business model has had a huge influence on the industry as we know it today. 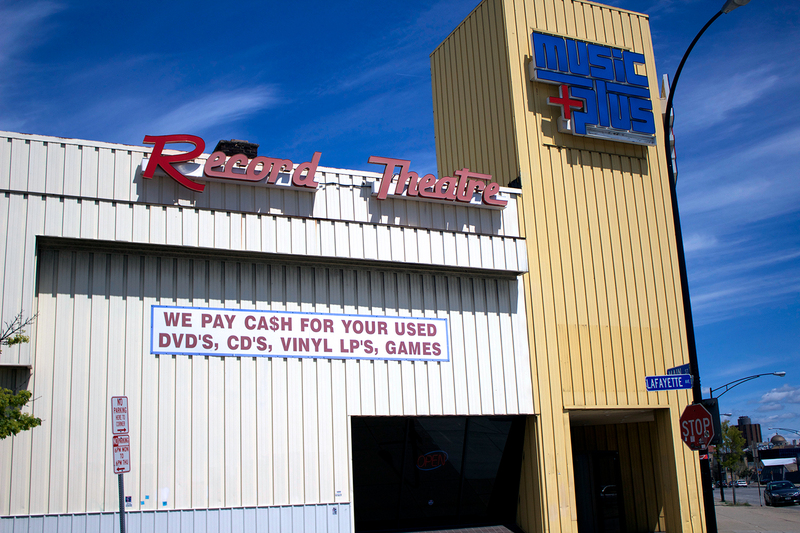 Record Theatre opened its first store in 1976 at 1800 Main Street. In the late 70’s it was the largest record store in the world, measuring 25,000 square feet of retail space. Through the years stores would open and close in Cleveland, Cincinnati, Baltimore, Rochester, Syracuse, and Buffalo. At the time of Silver’s death, there were only two left; University Plaza, which closed earlier this year, and the original on Main Street. Transcontinent Record Sales owns the building and the building across the street where the company’s offices are. Both properties will be put up for sale andTranscontinent Record Sales will move their office to a new building. The remaining inventory will be sold either via an online auction or through an online store. Record Theatre will also continue to own Amherst Records, a label which sold millions of albums, earning Grammy nominations and one win for “Once More With Feeling,” featuring Doc Severinsen and the Tonight Show Band. Amherst Records has the rights to albums by Lous Armstrong, Doc Severinsen, and Spyro Gyra, to name a few. New York Marketing would like to thank Record Theatre for allowing us to help out with their closing sale. From social media to printed signs, we’ve had a lot of fun helping with this project. That being said, we are also sad to see such a cultural milestone go. There will never be another store like Record Theatre, nor will one have the significant impact on the city of Buffalo and cities across the country as Record Theatre did.